1. Please tell us about your own pet(s) and what they mean to you? 2.You’ve already involved yourself in other pet welfare issues. How did you first become aware that pet theft is a (rising) crime and why you decided to do something about it? 3. Pet and horse owners are often very surprised to find out that their animal family members are legally regarded as objects when it comes to theft. What changes would you like to see amended into the 1968 Theft Act? 4. Can you explain briefly what a Private Members’ Bill is? Can you give us a summary of your Pets (Theft) Bill proposal? 5. Your Bill considers pet theft as an animal welfare issue. This is different crime than a theft issue? 6. You had your 1st reading in the House of Commons on the 3rd July, 2018. How did this go? 7. What is the process now for you to further your Bill? The next stage is second reading, which is the 25th January 2019, which is the first opportunity for MPs to debate the general principles and themes of the Bill. 8. Finally, have you met any victims of pet theft and if so has it made you more determined to amend the law? Read the Pet (Theft) Bill in full:- https://publications.parliament.uk/pa/bills/cbill/2017-2019/0245/cbill_2017-20190245_en_2.htm#l1g1. 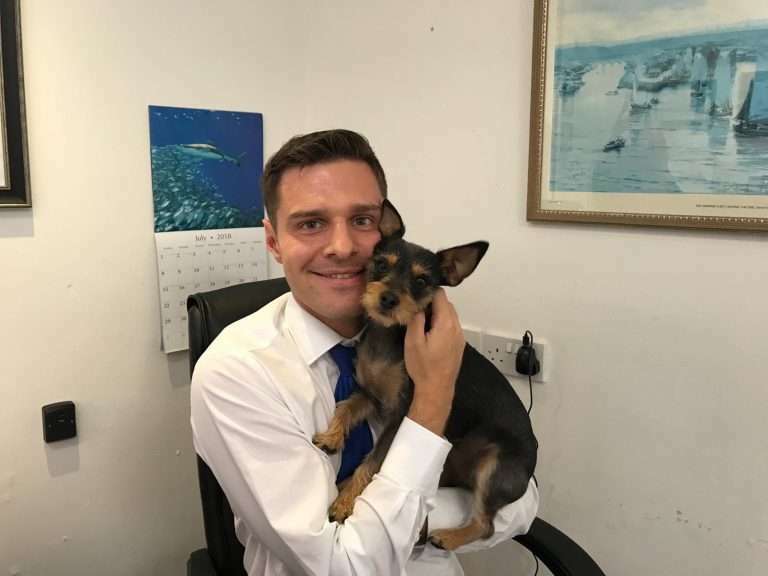 Email your MP ASAP – let’s make sure the second reading of Ross Thomson‘s Pet Theft Bill doesn’t get voted out and make sure your MP knows to support it! Ross pictured with his dog Poppy.